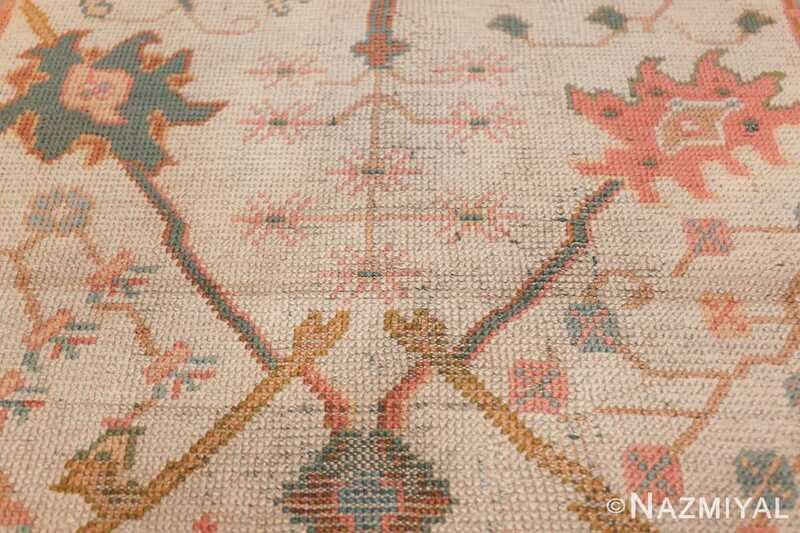 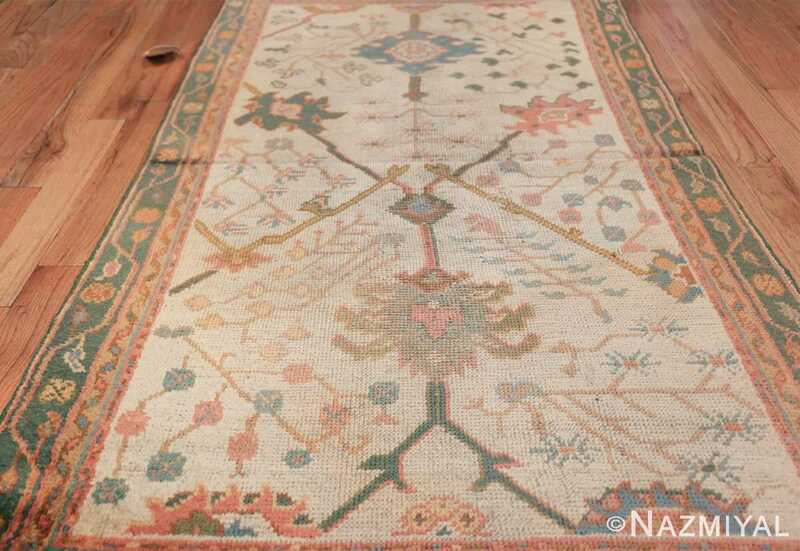 This striking antique Turkish Oushak rug is characterized by a faded ivory field and geometric elements of design. 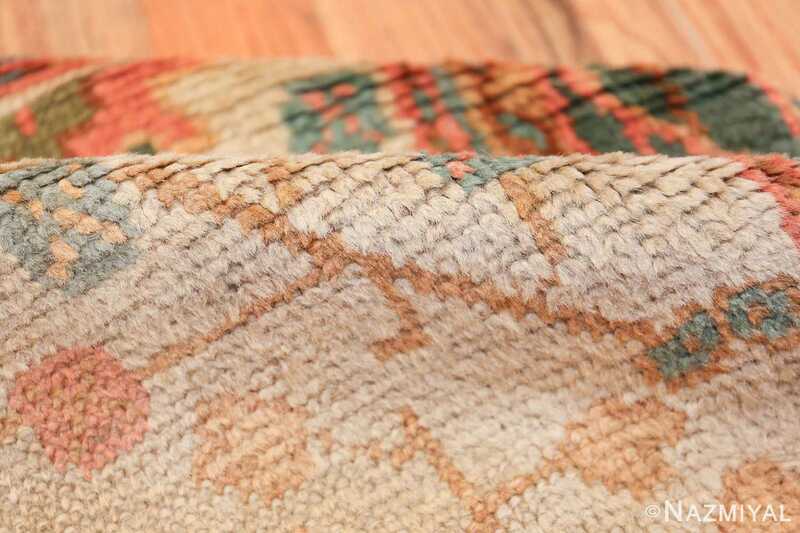 Soft tones and angular lines throughout. Antique Decorative Turkish Oushak Rug, Country of Origin: Turkey, Circa: Turn of the 20th Century – 1900’s – This antique Turkish Oushak rug is characterized by soft tones and geometric elements of design. A faded ivory field which serves as the main setting for the composition is the most striking element of this subdued work. 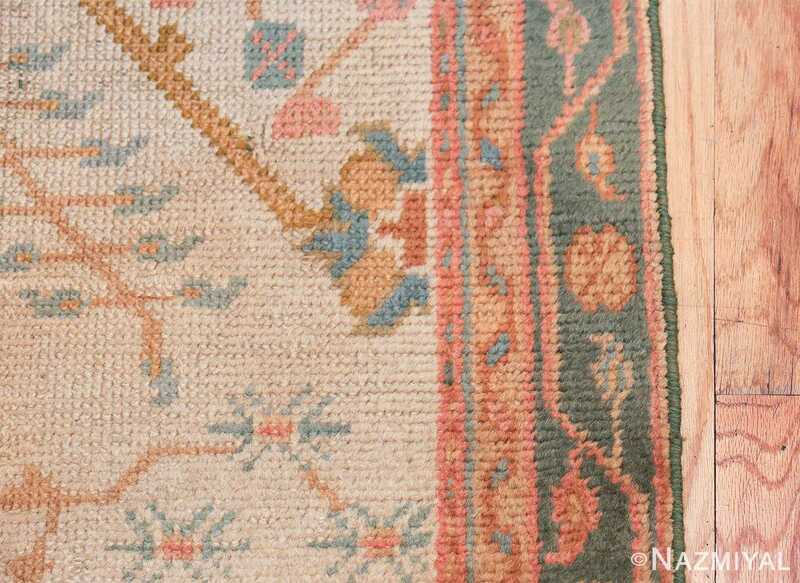 Contrasting borders of red and blue contrast starkly against the pale ivory of the field, though a lovely patina has rendered these darker tones more subtle, creating a more unified impression. 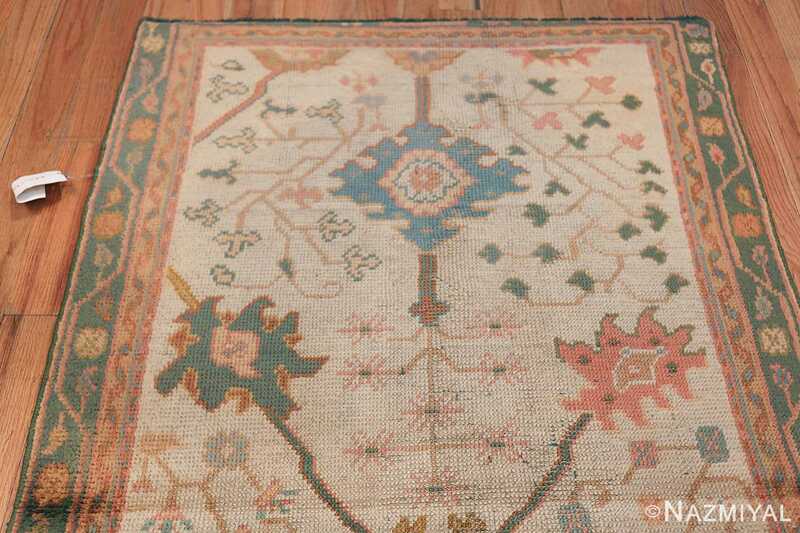 Geometric designs dance throughout the borders as well as the field, giving this antique Oushak rug a feeling reminiscent of tribal Persian rugs. 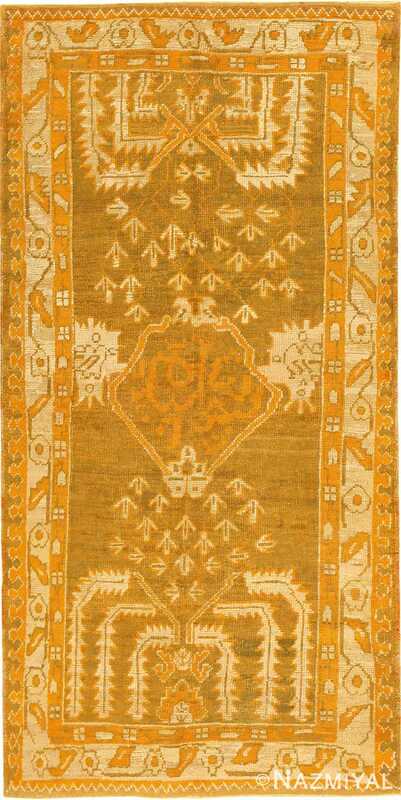 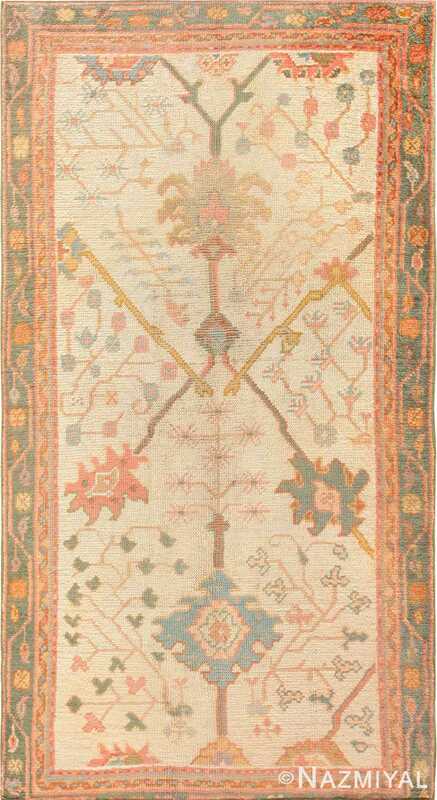 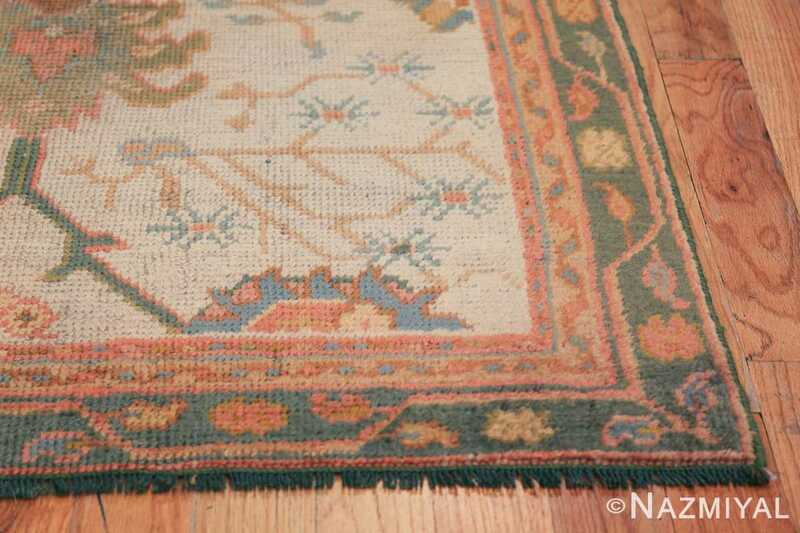 Rendered into a unique shape, this distinct Oushak rug is notable for its horizontal asymmetry, stemming from the lower horizontal border lacking a guarding outer border. 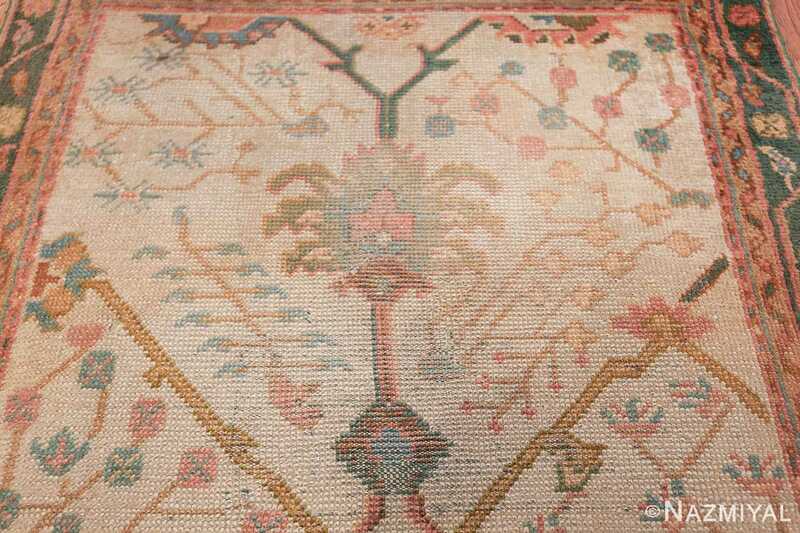 All in all, this is a unique and remarkable antique Turkish Oushak rug. 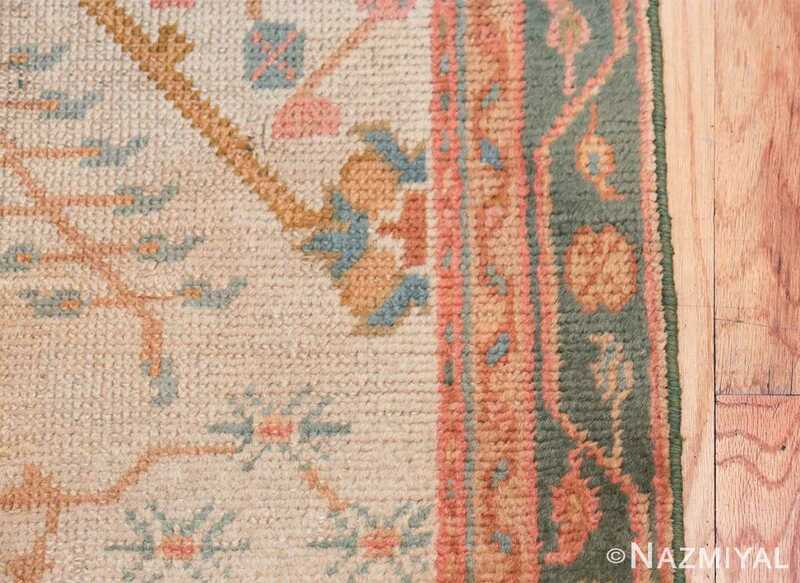 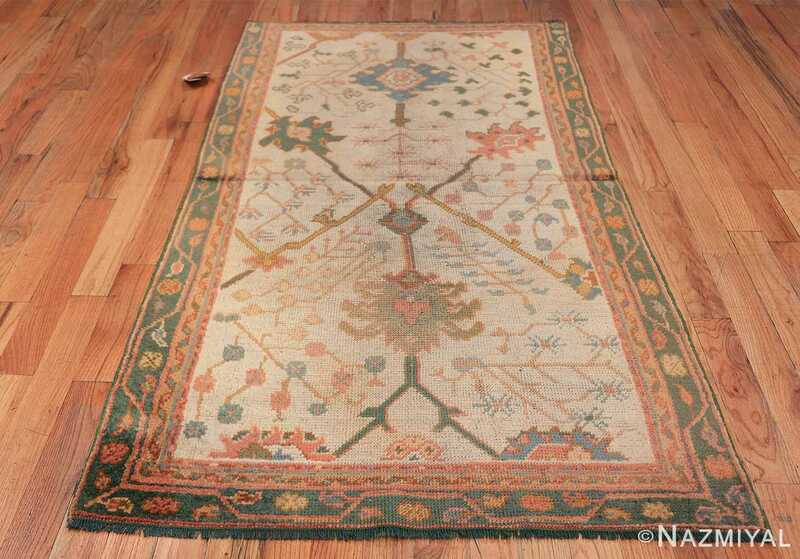 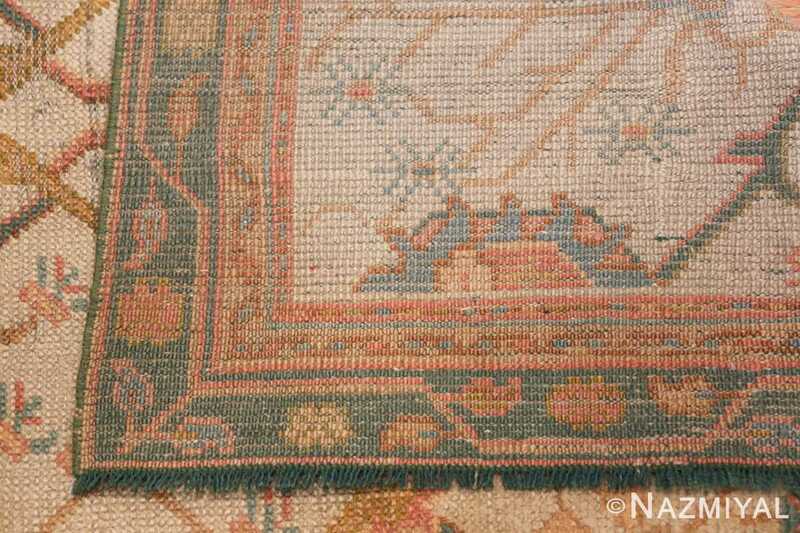 With its pale ivory field, lovely patina, and unique asymmetric composition, this is a distinct and fascinating antique rug.